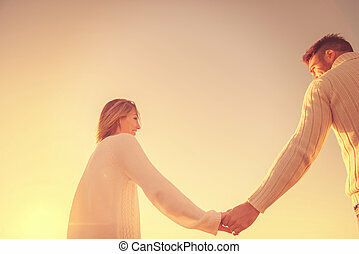 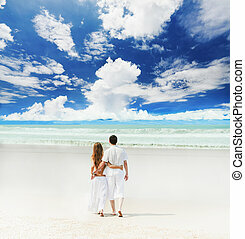 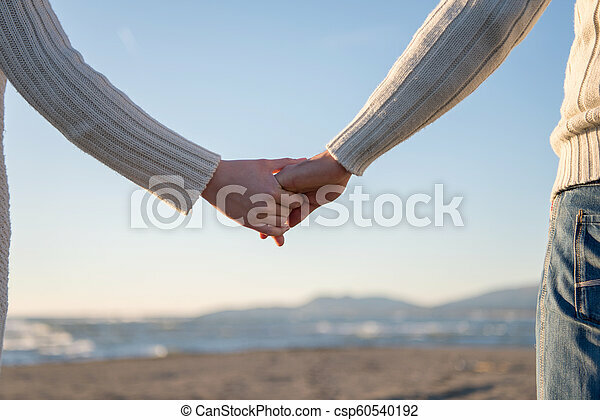 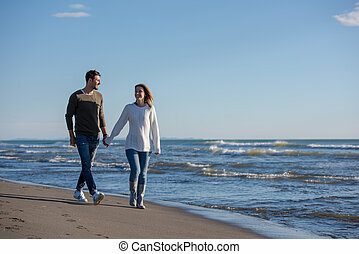 Loving young couple on a beach at autumn sunny day. 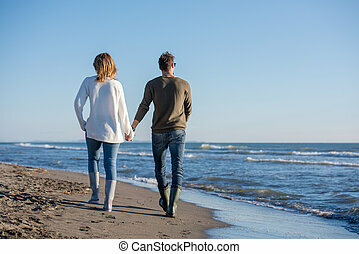 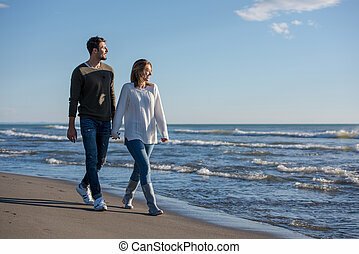 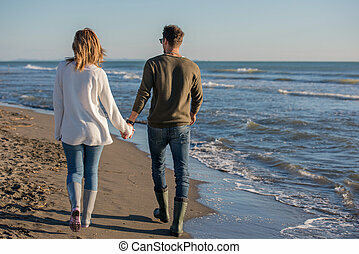 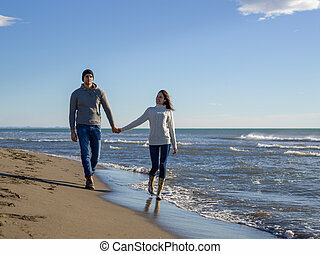 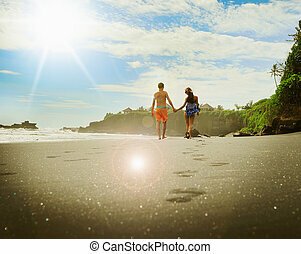 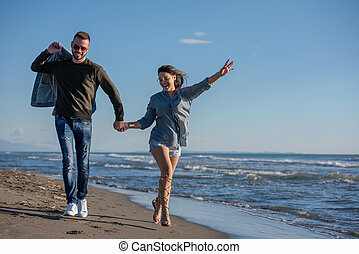 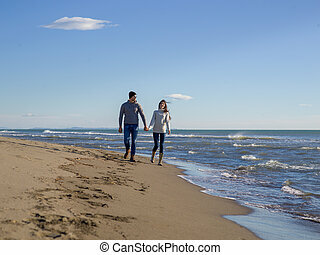 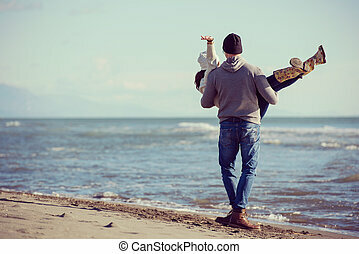 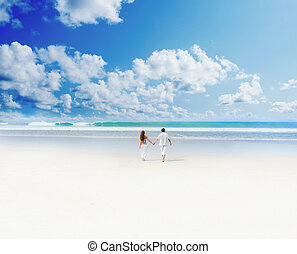 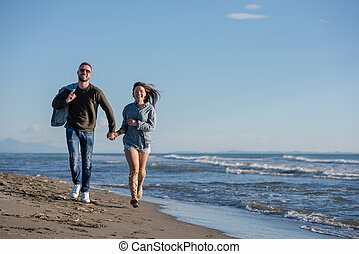 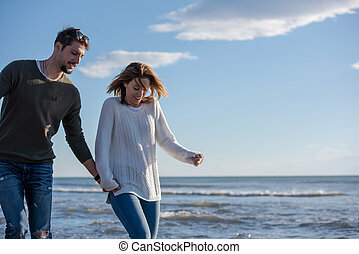 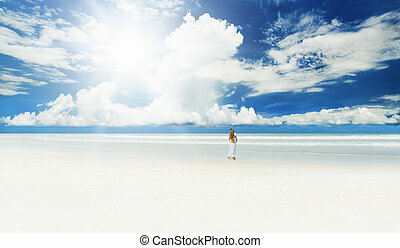 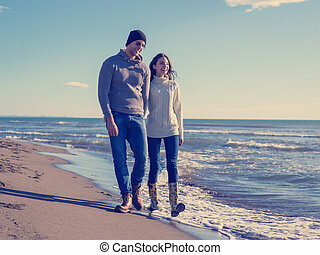 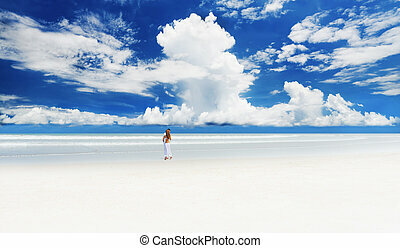 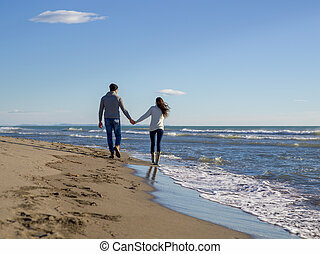 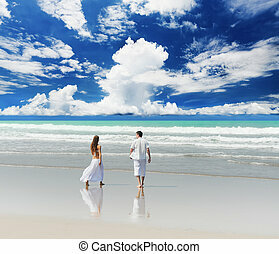 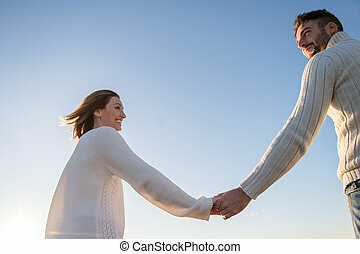 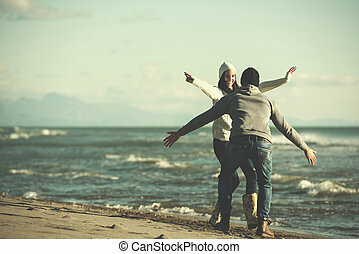 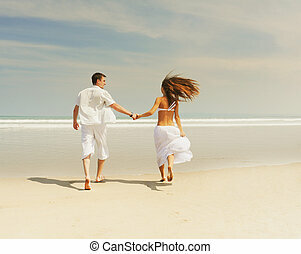 Young couple having fun walking and hugging on beach during autumn sunny day. 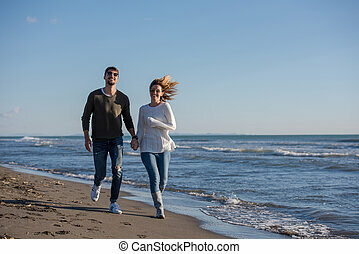 Young couple having fun at the beach on a sunny day.